Much of the attention on Latin America’s engagement with extra-hemispheric actors has focused on China, Russia, and Iran, with often explicit or implied consternation on the part of the United States. Yet a key extra-hemispheric partner with 1.25 billion people has been almost invisible in this discussion: India. 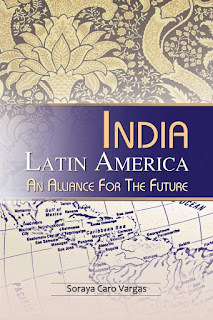 In the past 15 years, according to the International Monetary Fund (IMF), India’s bilateral trade with Latin America and the Caribbean has grown more than twenty-fold, reaching $44.6 billion in 2013. Although this is much less than China’s $289.3 billion in trade with the region in 2013, the rate at which India has expanded its trade is similar to China’s expansion of trade with the region, with India merely beginning later and from a lower point. Moreover, as China’s growth rate slows, and the value of its imports from Latin America correspondingly decreases, India’s economy is expected to grow 7.6% this year and 7.7% in 2016—a rate greater than that of China. Even if India is not yet as significant a commercial partner as China, the characteristics of its engagement with the region offer important opportunities for the region’s companies and governments, as well as for the United States. 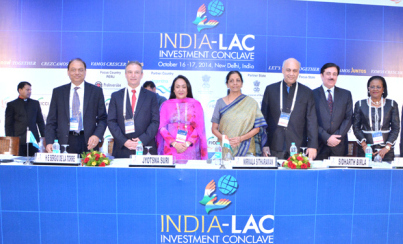 India, like China, has a growing appetite for commodities and foodstuffs, for which Latin America and the Caribbean is already an important supplier. Indeed, when China abruptly suspended its imports of Argentine soy oil in 2010, India tripled its own imports of Argentine soy products to $1.8 billion. Similarly, Mexico and Colombia are important sources of oil for India. For Latin American and Caribbean businessmen, India is, in some ways, a more accessible market for their products than China. One reason is the widespread use of English. And with India’s population growth, by 2028 the number of potential consumers in India will surpass that of China, even if their per capita income will not yet be as great. With respect to exports to Latin America and the Caribbean, India’s trade with the region is more concentrated on high value-added goods and services. In contrast to China’s exports of light manufactured goods such as apparel, toys, footwear and appliances which compete with Latin America’s traditional manufacturing industries, India’s exports to the region are more focused on sectors such as information technology, pharmaceuticals, vehicles, and industrial machinery. 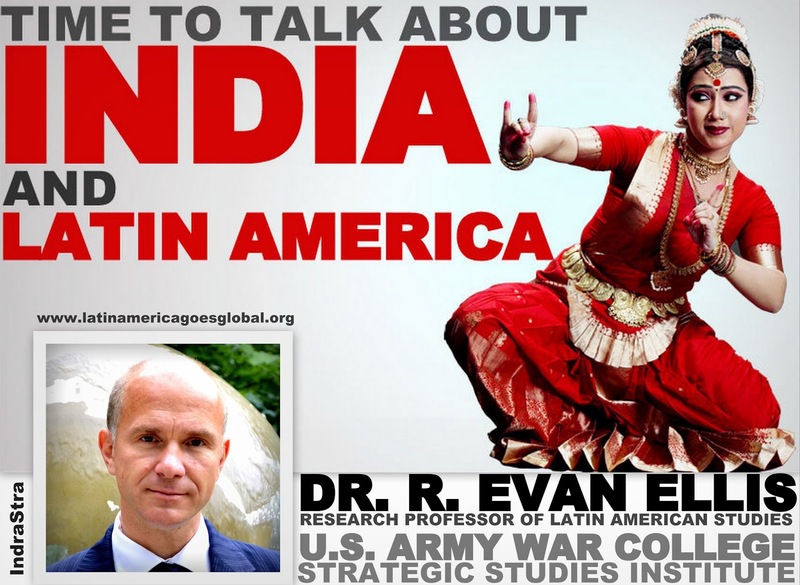 In terms of investment, Indian companies in Latin America have tended to behave far more like Western multinationals than have their Chinese counterparts, employing local managers and workers, and integrating local producers into their supply chains. Overall, Indian companies have put more money into local operations the region at an earlier point, than have their Chinese counterparts. Indian companies employ an estimated 14,000 workers in the region, with a concentration in high value-added sectors like technology and manufacturing. In Argentina, half of the 14 Indian companies operating in the country are in information technology sector. Even without the level of backing from their state and financial institutions that their Chinese counterparts enjoy, Indian companies have inherent advantages over their Chinese counterparts in operating in Latin America. They are used to pursuing business in a complex democracy with a mature civil society and competitive public procurement. Beyond its commercial activities, India also maintains modest but important defense and security ties with the region. 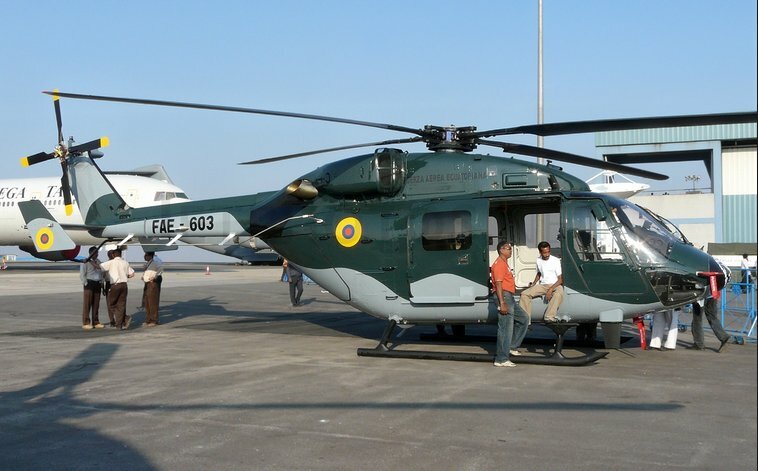 The Indian company Hindustan Aeronautics, Ltd. has sold helicopters to Ecuador, Peru and Suriname, while vehicle manufacturer Mahindra has sold its light trucks to Argentina, Uruguay, Honduras and Belize. India’s military Defense Research and Development Organization (DRDO) has collaborated with the Brazilian Ministry of Defense and the Brazilian aircraft company Embraer to develop and produce an airborne radar platform, with the first three aircraft developed through this collaboration delivered to India in August 2012. Most recently, the Indian government has authorized the sale of its new supersonic BrahMos missile to the region, co-developed with Russia, and of interest to a number of countries, including Brazil, Chile, and Venezuela. To date, although individual Indian companies have made important progress in Latin America and the Caribbean, the government has arguably not articulated a clear vision regarding engagement with the region, nor how it might leverage and support its business presence, or the significant Indian diaspora in countries like Trinidad and Tobago, Guyana and Suriname. India’s Prime Minister Narendra Modi, who traveled to Fortaleza, Brazil for the 6th BRICS summit just two months after assuming office in May 2014, has expanded and given new vitality to India’s international engagement. However, to date, that diplomatic engagement has been focused primarily on Asia. 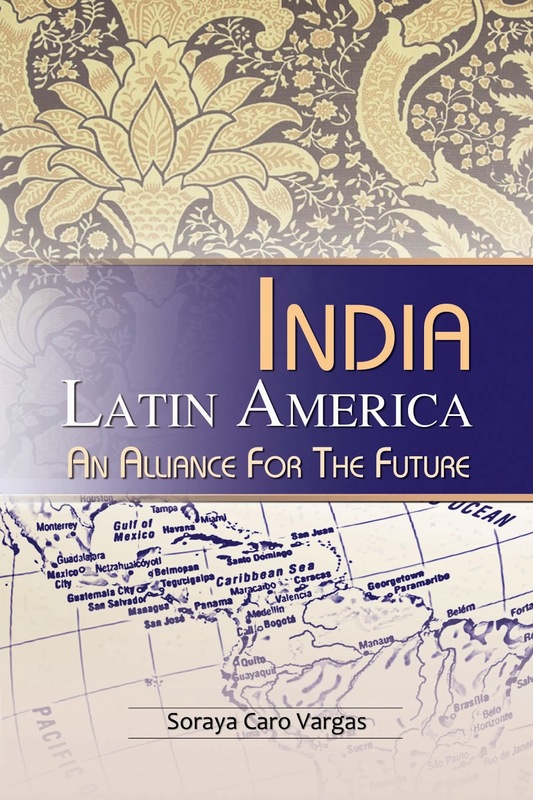 Although the United States and India have not always seen eye-to-eye, expanded Indian economic and political engagement in Latin America and the Caribbean potentially supports U.S. policy objectives, both there and in the Asia-Pacific. Not only is India the world’s largest democracy, but its companies have generally performed adequately in engaging in corporate social responsibility, and have respected the rule of law and intellectual property. The Indian government, while arguably protectionist, has also tended to support the principles of free trade and avoid some of the more predatory practices used by China to gain access to markets and technology for its companies. As the U.S. works with its Latin American partners to build new ties across the Pacific, India, like Japan, Korea, Australia and others, is the type of partner that can help the U.S. to build a Pacific Regime that is respectful of free trade, the rule of law, and democratic values.